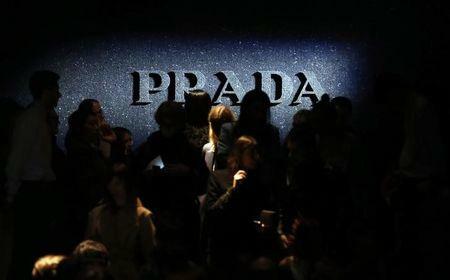 HONG KONG/MILAN (Reuters) - Italian luxury group Prada <1913.HK> said it would continue to cut costs next year and open fewer shops than planned after its profit slumped 44 percent in the three months to end-October, hurt by declining sales. Street protests in Hong Kong since late September have added to the difficulties Prada faces in Asia Pacific - its biggest regional market accounting for 38 percent of sales - as slowing economic growth and a crackdown on corruption in China cooled consumer demand. Group sales fell 6 percent in August-October to 792 million euros (625.32 million pounds), Prada said on Friday. Before accounting for currency moves, sales were down 8 percent from a year ago. Net profit fell to 74.5 million euros from 132.6 million euros. Earnings before interest and tax also fell 44 percent. "We acknowledge that the results are below expectations, not only for external market conditions but also for some internal factors," Chief Financial Officer Donatello Galli told an analyst call. Galli said he saw no improvements in the short term and declined to give an outlook for 2015. The board would examine cost-cutting measures in January and the group would cancel or delay some of the 50 shop openings pencilled in for next year. "We need to adapt our organisation to a context of market volatility," he said, citing increased competition. Prada's key sales of high-margin leather goods fell 9 percent in the quarter. The maker of Miu Miu handbags will seek to spread its leather goods offering across a wider price range. "We lacked volumes and probably also new products in some price ranges," Galli said. New products will target the 1,000-1,200 euro price bracket but also the higher 2,500-2,700 euro range. Pro-democracy protests which have blocked access to major Hong Kong shopping districts for nearly two and a half months contributed to a 9 percent decline in Prada's sales in Greater China. Slowing gambling activity in Macau also weighed. "We expect at least three more quarters of weak top-line trends, declining margins and negative EPS (earnings per share) growth for Prada, so we recommend investors use recent share price strength as a selling opportunity," Credit Suisse research analyst Karim Salamatian wrote in a note late last month.